I truly appreciate your business and I’m grateful for the trust you’ve placed in me to capture your special moments. To show my gratitude Customer Appreciation Month starts today through October 12, 2016. This is a great way to update your family photos and/or purchase additional prints, albums, and cards from your previous sessions. 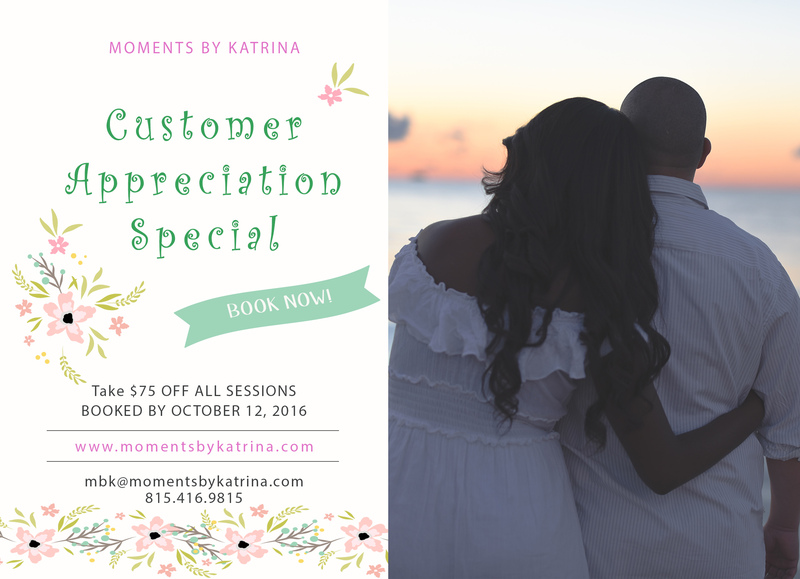 All sessions booked by October 12th will be $75 off. Please let me know if you need your access code to view your previous sessions. Thank you for all of your support and for just being you!